With topcoat, this is 2 coats of Seche Vite. Love. Looks more water color-ish. 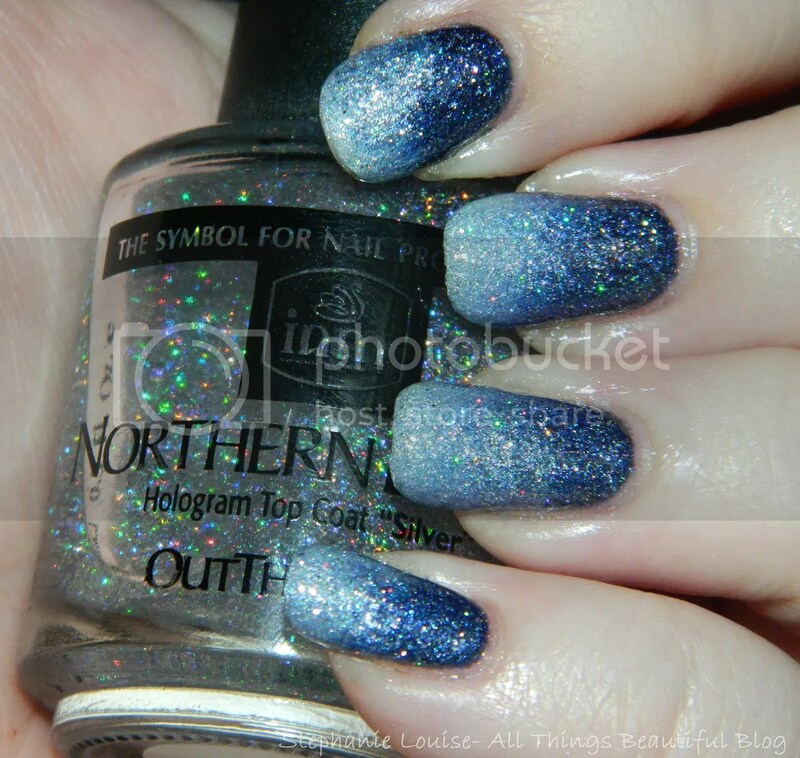 & then with an overlay of Northern Lights Hologram Silver Top Coat from Out the Door. This honestly couldn’t get much more lovely for a look that is a bit softened & winter-y. Love. 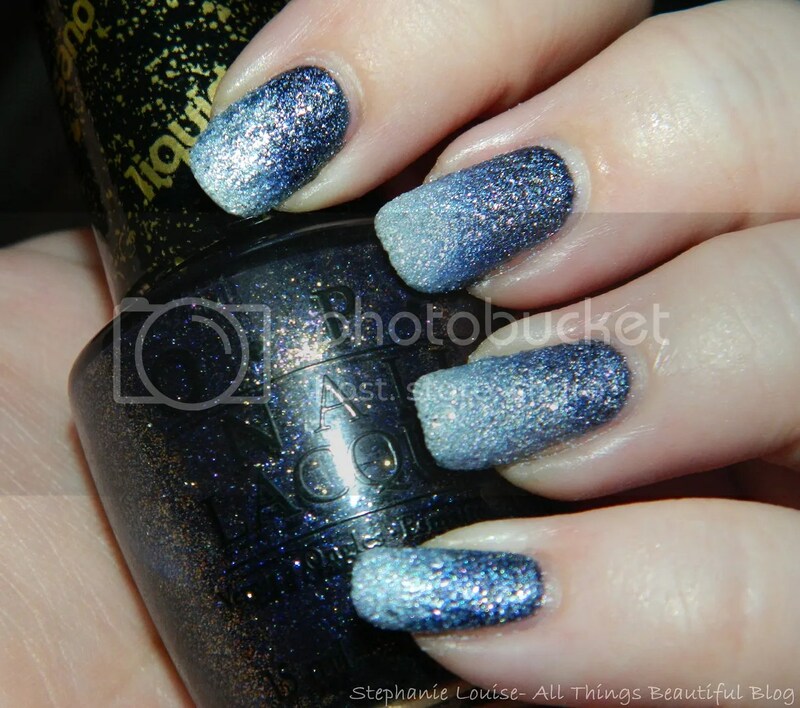 Which way do you prefer it- textured or holo-fied? What kind of snow-y winter-y lovely looks are you loving this season? I just bought the most gorgeous blue eyeshadow, ’tis the season for icy looks no? What are you wearing on your nails today?